Yesterday we closed above 20 day EMA(3106) which is a +ve signal for the current trend. So Possiblity of testing 3106 in downwards. And any close above 3106 or near to that will confirm that we are moving upwards. 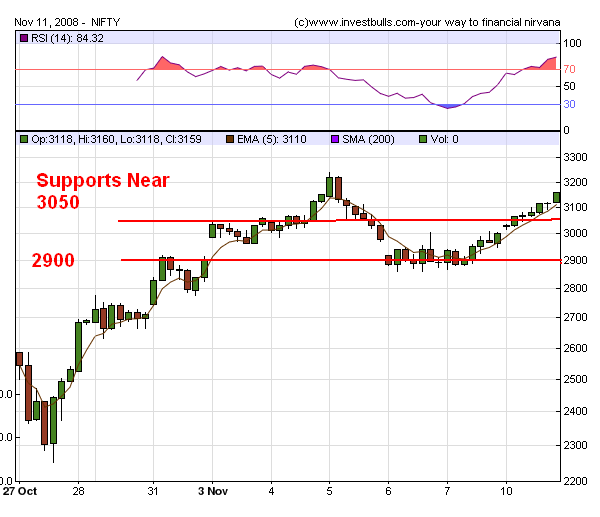 Also 2-Period RSI closed above 80 which also indicates a strong uptrend.